SITS - Custom Scrollbar plugin for Wordpress is a jQuery custom scrollbar plugin for your wordpress website. 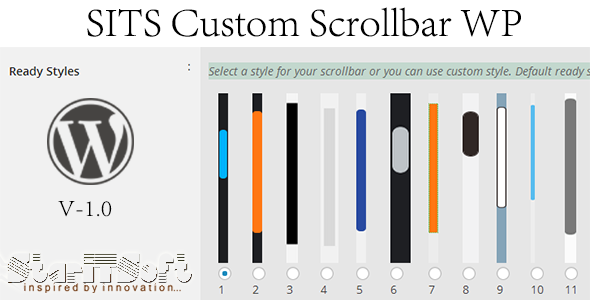 This plugin will enable awesome customizable scrollbar for your site. You can change scrollbar style like color, border radius, scroll alignment, scroll speed, width, border style & other settings by using the options of this plugin. Also you'll get 20 ready style for your scrollbar. If you like this plugin, please do not forget to rate this item.